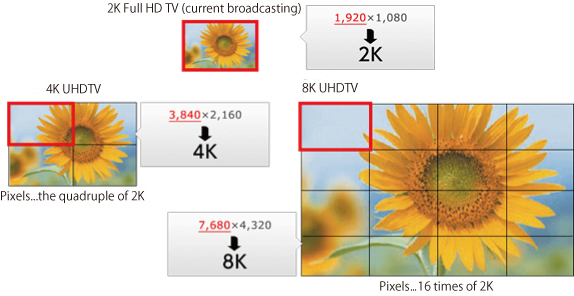 Technicalsolutions06 | MASPRO DENKOH CORP.
What is 4K and 8K broadcast? 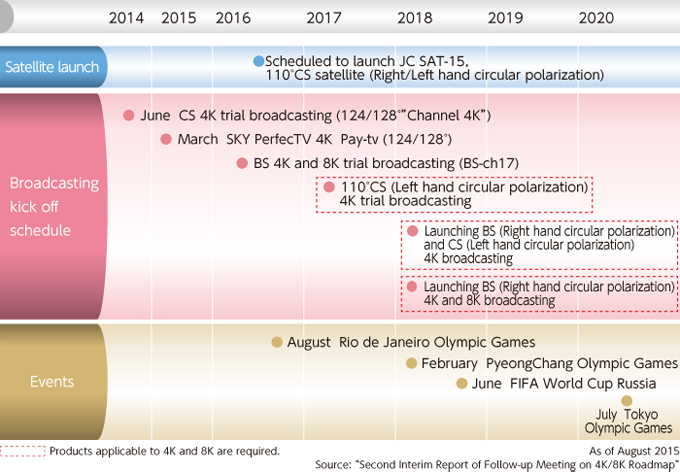 "2K", "4K" and "8K" refers to the horizontal resolution (pixels). 4K resolution is approximately 8.3 megapixels which is the quadruple of 2K for clear resolution. 8K resolution is approximately 33.2 megapixels which is 16 times of 2K for super clear resolution. Conventional TV receiving equipment is not up to 3224MHz which is required to receive 4K and 8K satellite broadcasting service. 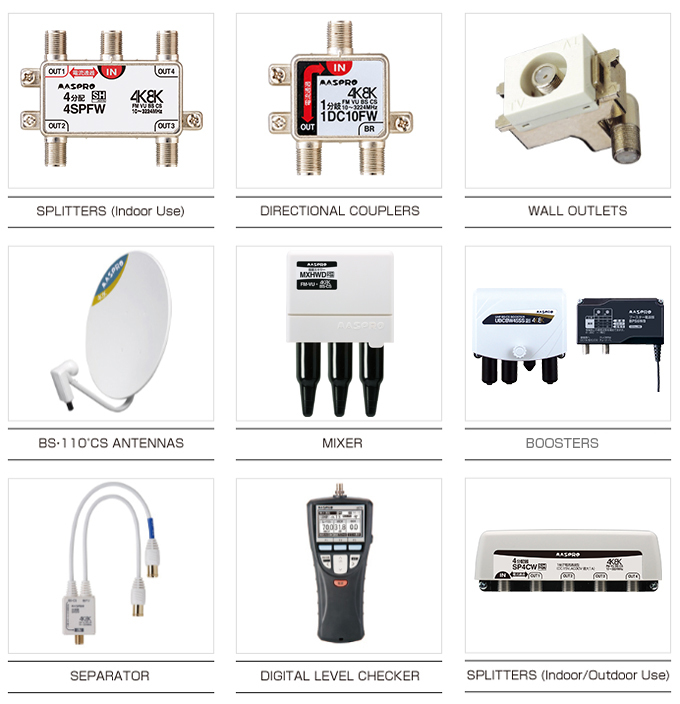 Therefore MASPRO DENKOH, ahead of the industry, released splitters, directional couplers and wall outlets applicable up to 3224MHz. Copyright 1996-2019 MASPRO DENKOH CORP.